Kurbo encourages kids, teens, and their parents learn about nutrition. Images courtesy of Kurbo. Trying to eat healthier is a challenge for adults, and even more so for children and teens. With rising rates of obesity, highly processed school lunches, and more people staying sedentary, there are so many challenges kids (and adults) face when trying to get and stay healthy. Kurbo wants to help. Kurbo is a mobile app that helps kids and teens make smarter food choices. Unlike calorie-counting systems, Kurbo uses a “traffic light diet” developed by Stanford scientists. 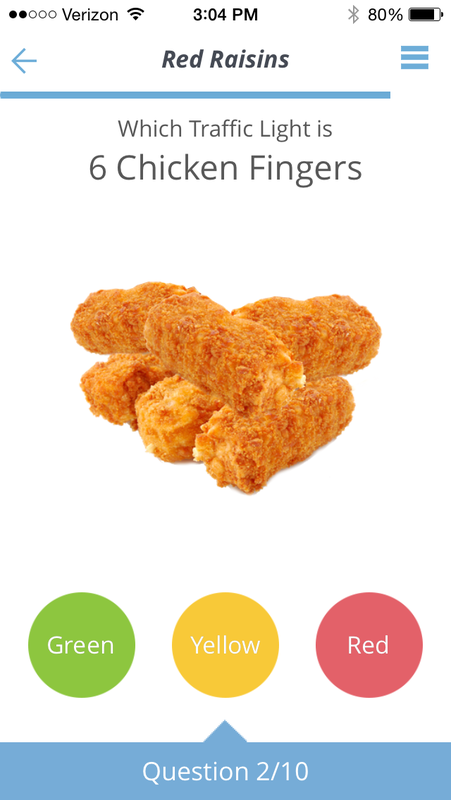 The app groups foods into red, yellow, and green categories based on how good they are for you. The diet encourages users to consumer fewer “reds,” which includes processed foods or ones that are high in sugar and fat; eat “yellows,” like whole grain breads, in moderation; and go all-out for nutritious “green” choices like fruits and vegetables. The app sets a goal number of “red” foods per week, and kids are encouraged to log they traffic light color of the foods they eat as they go. Like Weight Watchers, Kurbo does not restrict any foods. Kids can still have sweets and treats, but are reminded to eat them more mindfully. And the reviews for the system are positive – even from adults who want to eat better. The Android and iOS version of the apps are free to download and for the first week, but you’re charged for a personal coach there after. Plans range from $25/month to $75/month depending on how interactive coaching you’d like. Want to stay up-to-date with latest health/tech trends? Follow us to get emails when new posts get published, then follow Crunch Theory on Facebook and Twitter.